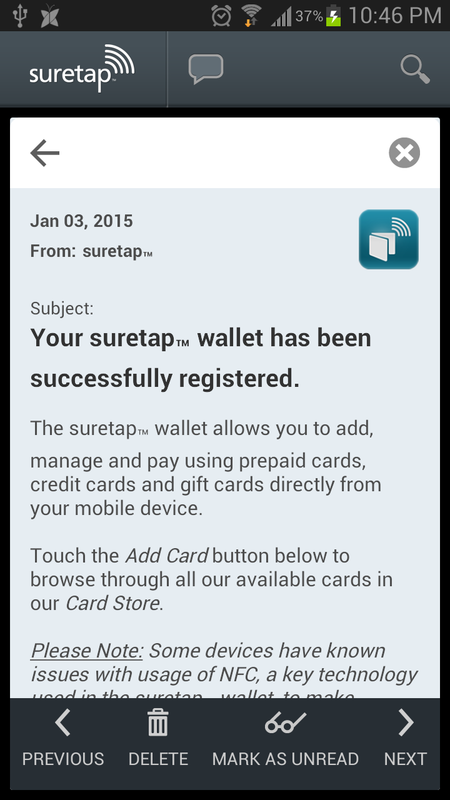 suretap wallet surely works for me! About a week ago or so, I downloaded this new app called suretap wallet. So, what is it, you ask? It’s an app from Rogers that enables users to store payment cards and complete everyday point-of-sale (POS) transactions using their mobile device. This, however, can only be used on POS terminals which support contactless payments. Currently, you can only add the Rogers Prepaid MasterCard as well as some gift cards to it. 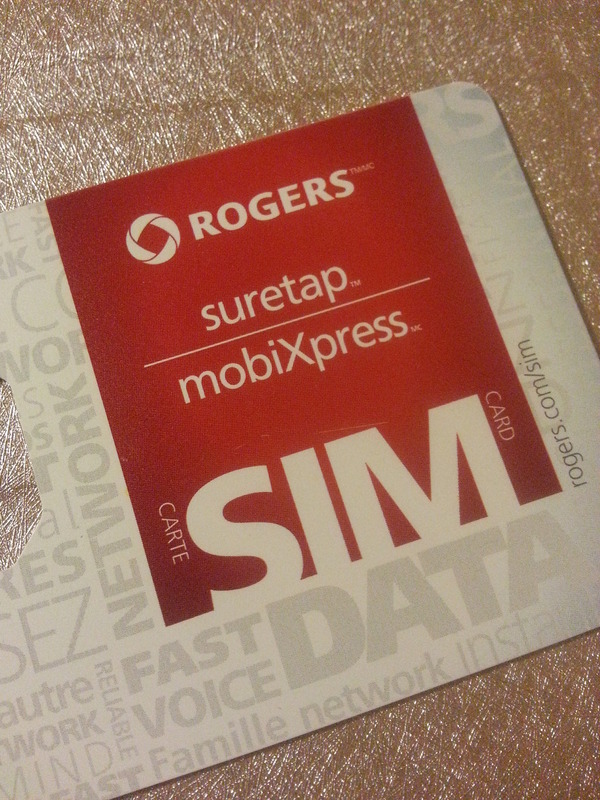 There was a recent promotion (which expired on January 6, 2015) that when you register and add the Rogers Prepaid MasterCard to the suretap wallet, you will receive $100 in free money. Yep, you read that right – one hundred dollars! If you were not able to take advantage of this promotion, let’s hope there’s another one for you soon. Basically, any device with NFC (near field communications) capability should work. Also, you would need an active suretap LTE SIM card. For more information on suretap, check out rogers.com/suretap. This entry was posted in Gadgets, Tech, Wireless and tagged Android, Gadgets, Tech. BlackBerry released new features for BlackBerry Messenger (BBM) on Friday, October 31, 2014 which include Timed Messages and Message Retraction. This allows users to have more privacy and control over their messages. 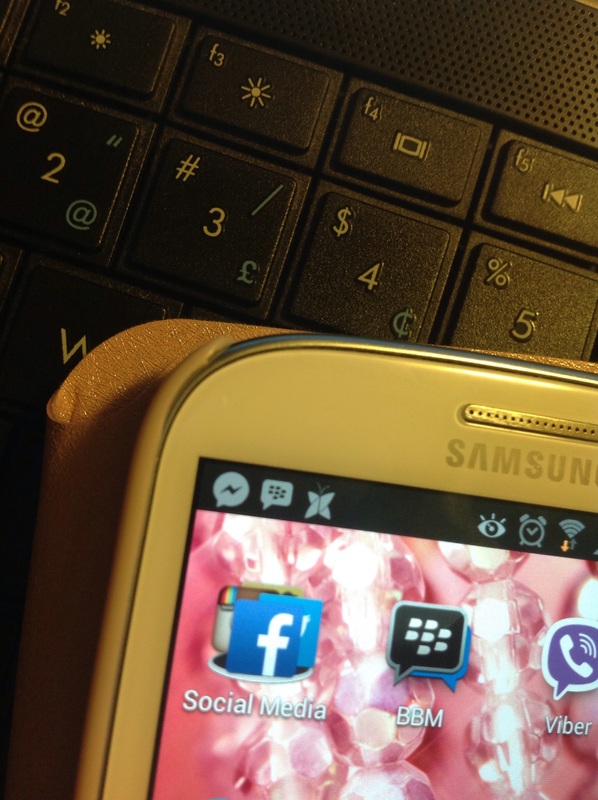 With “Timed Messages”, similar to popular photo messaging app Snapchat, you can set a timer to control how long messages and pictures you share can be viewed within BBM. The message is hidden until the recipient touches and holds on the chat. Once the timer expires or if the recipient takes their finger off the screen, the message is no longer visible. 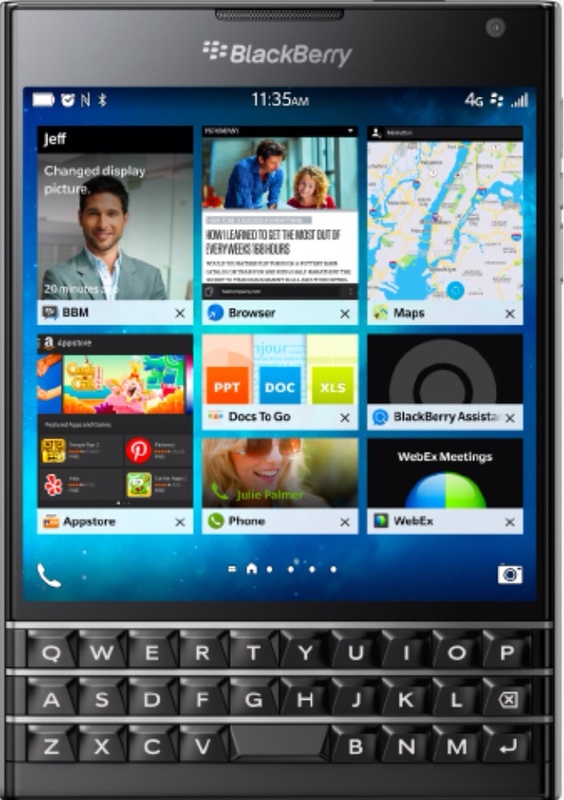 The user also receives a notification if BBM detects that the recipient has taken a screenshot of the image or message. Only thing is, if the recipient has another phone/camera handy, of course they could still take a picture of the picture/message without you knowing it. With “Message Retraction”, users can now retract messages from their BBM chat before it will be read by the recipient, or even after it has been read so that it will no longer be visible within BBM. 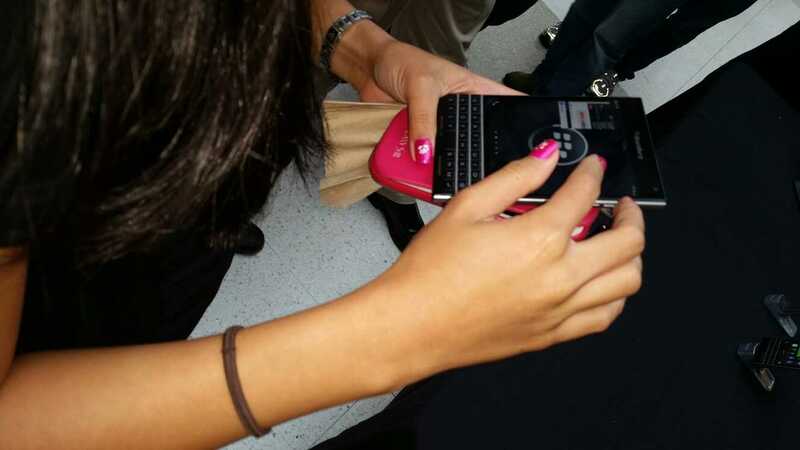 The premium features will be available to BBM users for free for the next three months, after which will be offered as part of a broader bundle of features with a BBM subscription. Other new features include a quicker sticker picker, HD Picture Transfer, and the ability to see what music your contacts are listening to in BBM Feeds. This entry was posted in Gadgets, Social Media, Tech, Wireless and tagged BBM, BlackBerry, Phones, Tech.